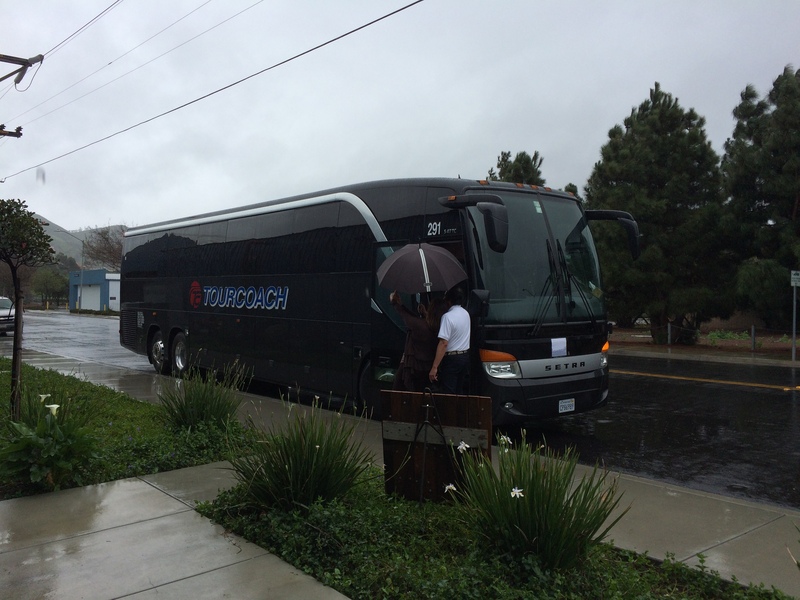 Two more stops on last Saturday’s group wine tour to the Santa Rita Hills AVA (LINK) – Tyler Winery (LINK) and LaFond Winery & Vineyards (LINK – lots of photos). 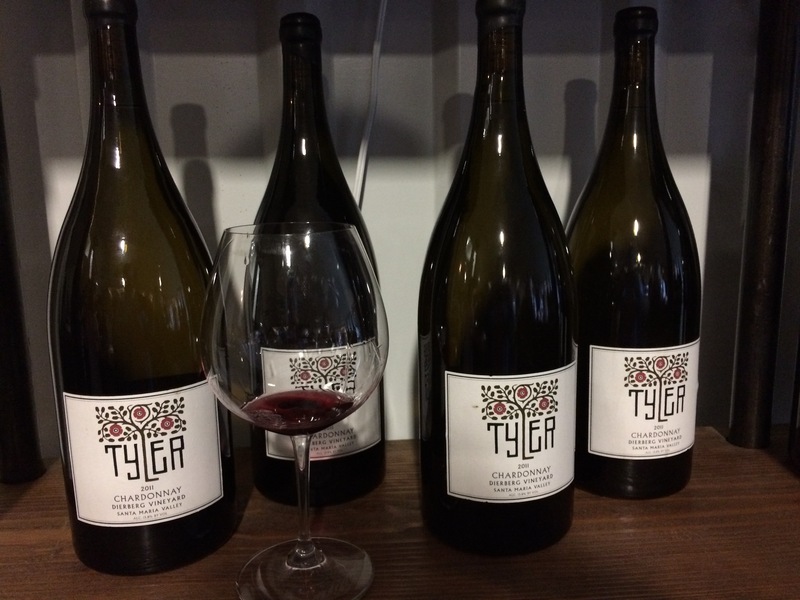 Tyler produces only Chardonnays and Pinot Noirs. They source from a number of vineyards in the Santa Rita Hills and Santa Maria Valley AVA’s (LINK). 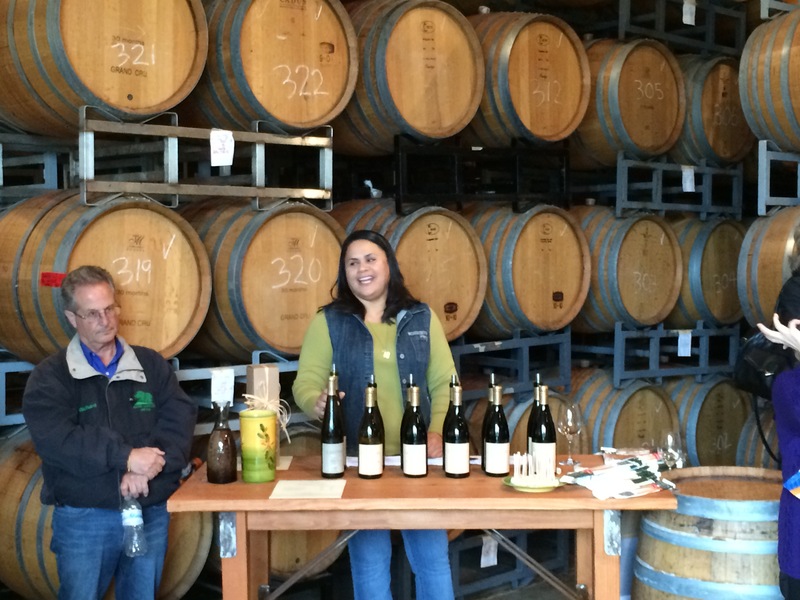 We tasted Chardonnays from the Bien Nacido Vineyard (LINK), a storied vineyard in Santa Maria, and from the Sanford and Benedict Vineyard (LINK) in the Santa Rita Hills. Both were beautifully crafted wines with hits of oak – kind of a middle ground between the oak-bombs of older California and the unoaked newer styles that are becoming so prevalent. We also tasted two Pinot Noirs from the same two vineyards, These wines were a nice balance of fruit, spice, and minerality. The Bien Nacido wine had a bit more body, but the winemaker’s style showed in both wines – restrained and likely to age very well. 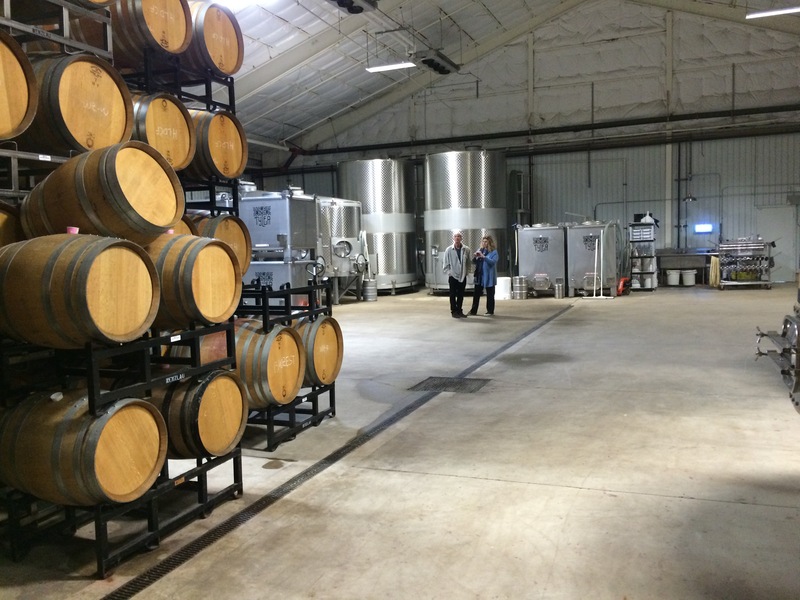 The winery itself is very eye-appealing, a working winery with stacks of barrels adjoining the small tasting area. 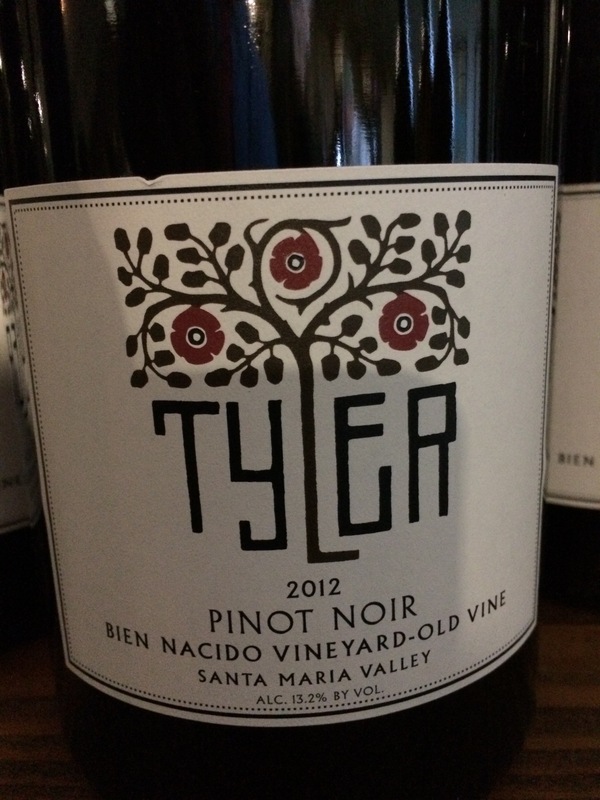 Tyler is a small producer, and the focus is obviously on the craft of wine making. I was very impressed with these wines. 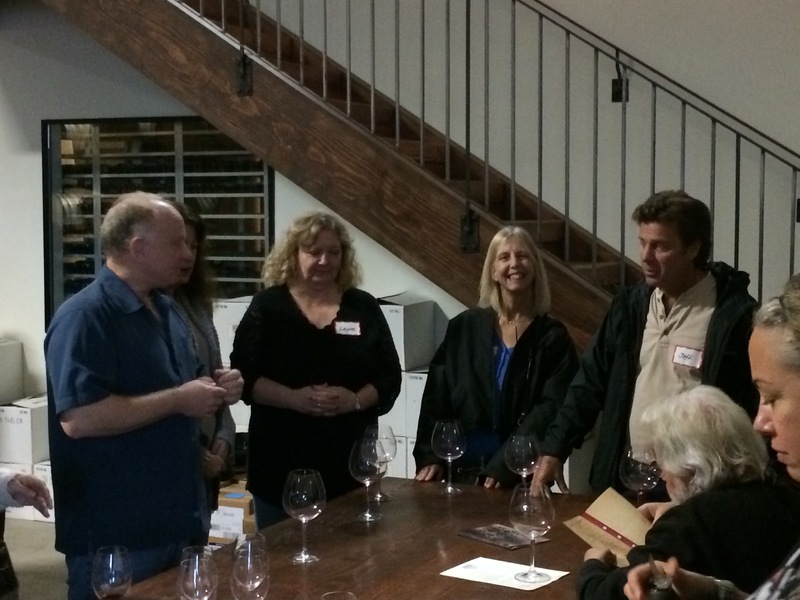 Our next stop was LaFond Winery and Vineyards on Santa Rosa Road in Buellton, CA. 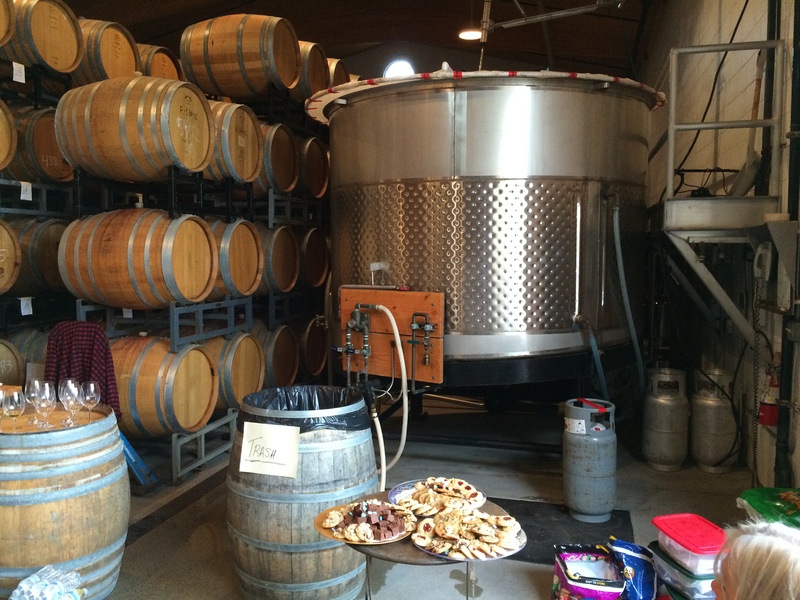 The plan was to have lunch in the meadow outside the beautiful tasting room and adjacent winery – but it was raining, so tables were set up in the barrel room. Not bad. 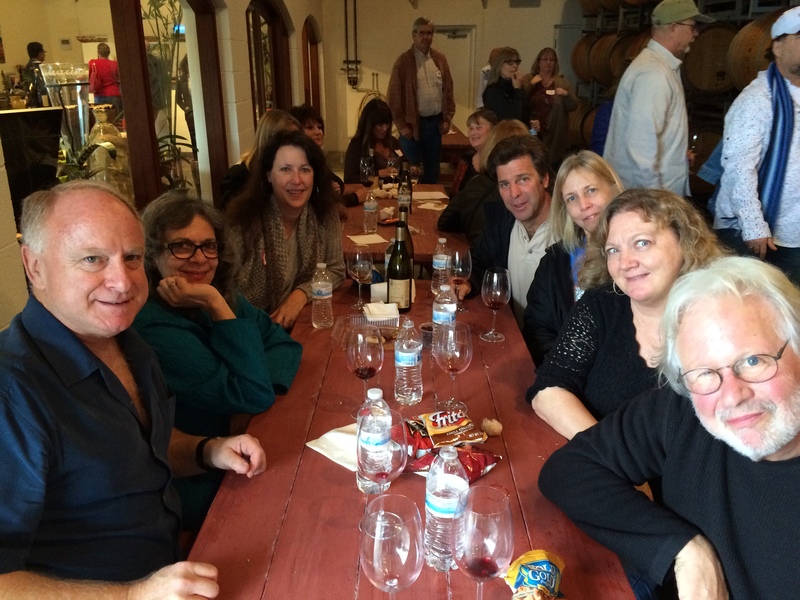 Our subset of the larger group purchased a 2010 Lafond Vineyard Pinot Noir Martin Ray Clone ($50.00) and a 2012 SRH Santa Rita Hills Syrah ($27.00) to go with our boxed lunches. Both wines impressed. The Pinot was spice and well-balanced with a smooth finish; the Syrah was also fruity, but balanced with minerality and a heavier mouth feel. After lunch we tasted a selection of LaFond’s current releases, Riesling, Chardonnay, Syrah, Pinot Noir – I must say that I was impressed. I first visited this winery in 2006, and found the wines generally promising but uneven. This time, everything was beautifully crafted, even elegant. This is emblematic of the evolution of the Santa Rita Hills as a prime wine region in California. 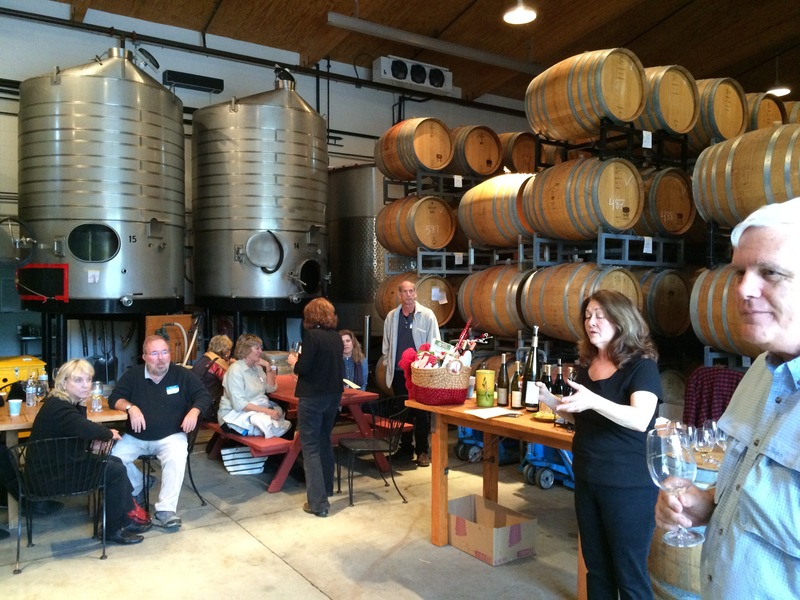 Good news all around for wine lovers!